Get your cards ready for the 2017 Hearthstone Copa América! Latin America is celebrating the return of its most iconic Hearthstone tournament. 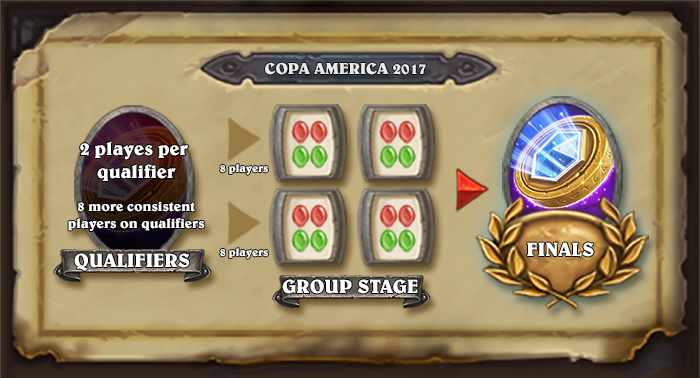 Copa América will be back in 2017 at full strength, awarding incredibly valuable HCT points as well as a prize pool of $30,000 during three very promising seasons organized by Blizzard Latin America and ESL. Each Copa América season is a unique opportunity for Latin America players. This event will be connected to the 2017 Hearthstone Championship Tour, granting points in the Major category for the Winter, Spring, and Summer tournaments of the global standings. What will be the format of the 2017 edition of the Copa América? Qualifiers: Each season will have 1 initial stage consisting of 4 qualifiers (3 for Latin American players only and 1 open to the entire world). The 2 best players in each qualifier (8 in total) advance to the current season's Group Stage. Also, in order to reward consistency, the best 32 players in each qualifier will be awarded with Copa América points. At the end of the 4 qualifiers, the 8 players with most points also advance to the Group Stage. Group Stage: These 16 players that remained from the qualifiers will be divided in 4 groups of 4 players each, facing off in a double-elimination format. The 2 best players from each group advance to the Season Finals. Qualifiers and group stage matches will be played in the best-of-five system, using the Conquest mode (4 decks, 1 ban). Season Finals: This face-to-face tournament puts the 8 best players of the season in a single-elimination bracket, with best-of-seven matches (5 decks, 1 ban). 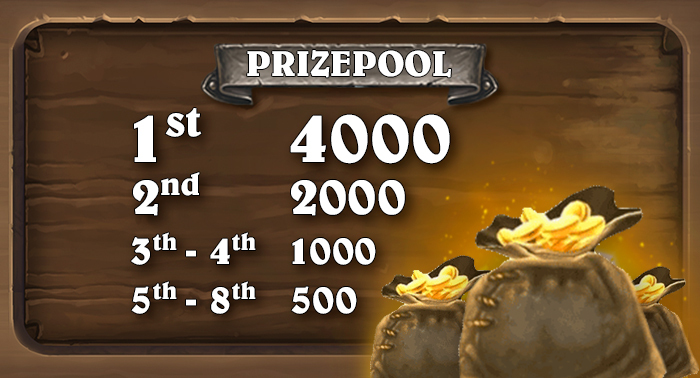 The players who get this far will fight for the cash prize pool and will earn points for the HCT global standings. When does the 2017 Copa América start? 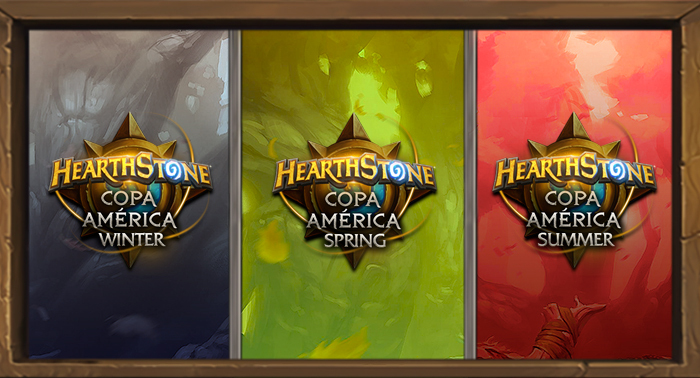 The first season of the 2017 Hearthstone Copa América begins during the first week of January. How can I follow the entire Hearthstone Copa América action? The most prominent players in the region will defend their honor, and the official Copa América casters will be commenting on and scrutinizing every bit of the action in the Group Stage as well as in the Season Finals through our official channels in TwitchTV, both in Portuguese and in Spanish, so that you can support your favorite players without missing anything! So, join the tavern, put your skills to the test to become the new Legend in Latin America and share your opinion with us using the #HSCopaAmerica hashtag on Facebook or Twitter, as well as on our own social media: Blizzard eSports Brazil. Get your decks ready. The battle is about to start!